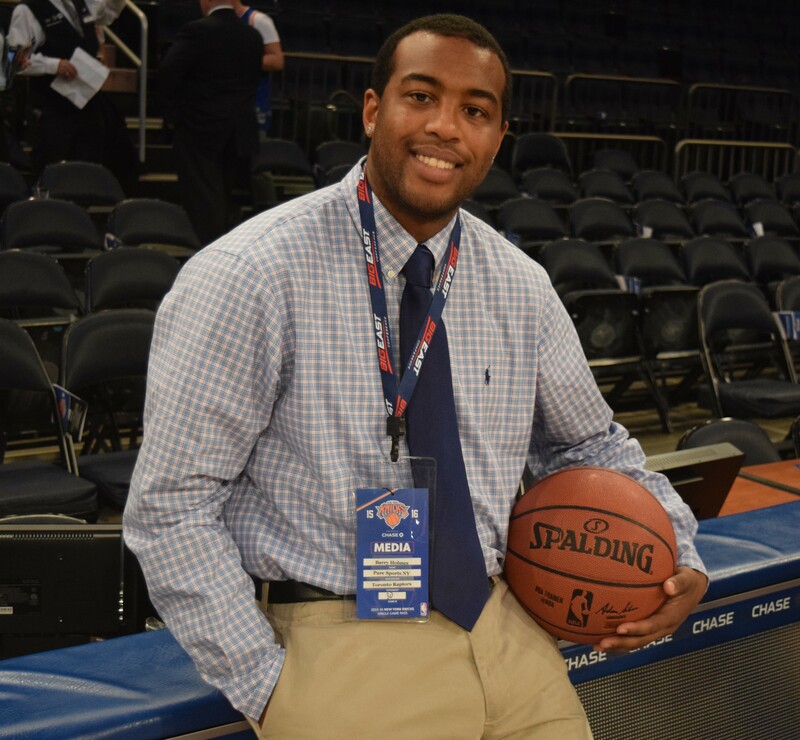 NEW YORK CITY, N.Y. – On Dec.24, the New York Knicks held a 16-13 record and a two game winning streak. Since the Christmas Day loss to the Boston Celtics, New York has dropped to a 16-19 record. The Knicks now are on the outside looking into the playoff picture, at the 10th seed in the Eastern Conference. During New York’s current six game losing streak, there have been some major areas of concern on both ends of the floor. Here are five of the biggest observations, during the Knicks’ most recent losing skid. To start the season, the Knicks have struggled to consistently take care of the basketball. Currently, New York is ranked 19th in the NBA in own turnovers (13.5) per game. Late in games, it has been costly turnovers that have prevented the Knicks from securing wins. New York has had 15 or more turnovers in three out of their last six games. Last Monday against the Orlando Magic, the Knicks had 20 turnovers and Orlando converted for 21 points off those turnovers. When you spot a team 21 points, its not hard to see why the Knicks lost 115-103. New York has given up 18 or more points off turnovers, in four out of their last six games. (Photo Credit: Adam Hunger-USA TODAY Sports) Elfrid Payton hurt the Knicks by pressing the issue off turnovers. They don’t call the 4th quarter “Crunch Time” for nothing. To close out NBA teams, you have to play your best basketball when it counts. During this six game losing skid, New York hasn’t shown up consistently in the 4th quarter. Only once against the Celtics, has New York outscored their opponent in the 4th quarter during this losing streak. Three out of the last six games, the Knicks have been outscored by opponents in the 4th quarter. It has seemed that late in games, New York plays not to lose instead of playing to win. The Knicks worst 4th quarter performance, came Wednesday night against the Milwaukee Bucks. New York spoiled a 14 point lead, as the Bucks outscored New York 32-17 in the 4th quarter. Milwaukee stormed back, while the Knicks went cold from the field. Giannis Antetokounmpo then hit a game-winning fade away jumper at the buzzer, to give Milwaukee a 105-104 win in Madison Square Garden. The Knicks have not helped themselves on the defensive end. New York has shown poor perimeter defense, which has led to way too many open opportunities in the paint and beyond the arc. New York has allowed opponents to shoot over 44% from the field in five out of the last six games. When you don’t push teams out of their comfort zone, it is going to be a long night. The Knicks desperately need to find a way to play better defensively. New York has failed to hold opponents to under 100 points in 15 straight games. Opponents have seen success from beyond the arc during the Knicks’ six game losing streak. The Knicks have allowed 12 or more three pointers in four out of their last six games. New York allowed Orlando to make 15 shots from downtown, and the Houston Rockets an alarming 21 three pointers. The Knicks also need to learn to play without fouling. New York has sent opponents to the line over 27 times in three out of their last six games. Considering how many points the Knicks spot teams in turnovers, there’s no way possible they can allow opponents to shoot that much from the charity stripe and win. (Photo Credit: Nathaniel S. Butler/Getty Images) Anthony has a tendency to hold the ball on offense. New York has been frustrating to watch this season, especially because fans see how good the Knicks look when the ball is moving. The problem is, the ball movement has been inconsistent all season long. Currently, the Knicks are ranked 19th in team assists per game (21.6). The Knicks have had 21 or more assists in just three out of their last six games. Carmelo Anthony has reverted back to old tendencies, by holding on to the ball and halting ball movement. The effect has rubbed off on others, as the Knicks have been playing more isolation basketball. It has been detrimental to the Knicks’ success, especially since Anthony hasn’t shot the ball particularly well. Anthony has shot just 37% from the field in his last five games. The Knicks need to get more motion on offense, and look to make the extra pass. Creating more easier opportunities on offense, will translate to better offensive production. 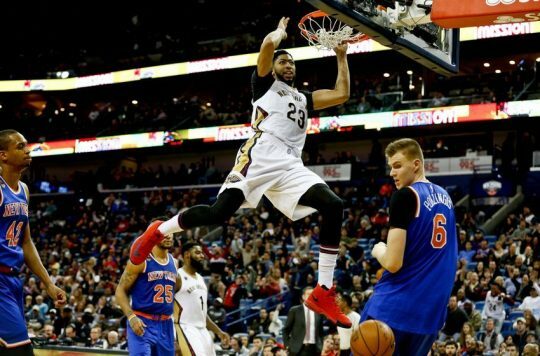 Kristaps Porzingis hasn’t played since Dec. 30 against the New Orleans Pelicans, due to a sore Achilles. The Knicks have desperately missed Porzingis’ defensive and offensive presence. Porzingis has had an all-star caliber year so far for New York. The second year player has averaged 20.1 points, 7.9 rebounds and 1.9 blocks per game. Fans should be hopeful, as Porzingis was a full participant in practice on Thursday and hopes to return Friday against the Bucks in Milwaukee.